Academic Workshop of the Chemistry Department of IPB was held on June 29, 2018, in the Chemistry Department’s courtroom. 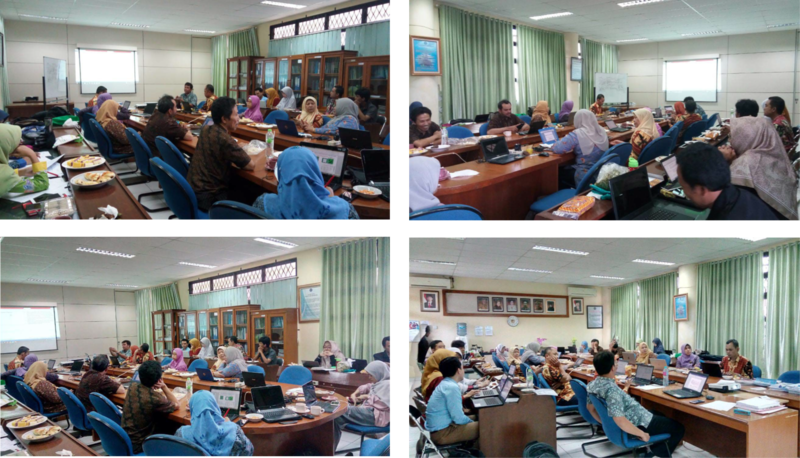 The event, chaired by the Chair of the Chemistry Department (Prof. Dr. Dyah Iswantini Pradono, MScAgr) and attended by Chemistry lecturers of IPB, took place well. The event was held at 8:30 a.m. to 5:00 p.m. WIB, discussing the latest curriculum for undergraduate, master and study programs in Chemistry doctoral programs based on the results of curriculum evaluations that had been implemented in the previous year. The hope of this workshop is to improve the quality of the curriculum in IPB Chemistry so that it can make IPB Chemistry a leading study program in Indonesia and Southeast Asia. In addition, there was also a gathering between lecturers and educational staff of the Department of Chemistry, IPB, as well as a thanksgiving for the success of the Bachelor of Chemistry study program which again won ‘A’ accreditation from BAN-PT. The Department of Chemistry would like to thank all those who have helped and participated in the successful re-accreditation of the IPB Chemistry study program. Hopefully, the IPB Chemistry Department will become more prosperous!